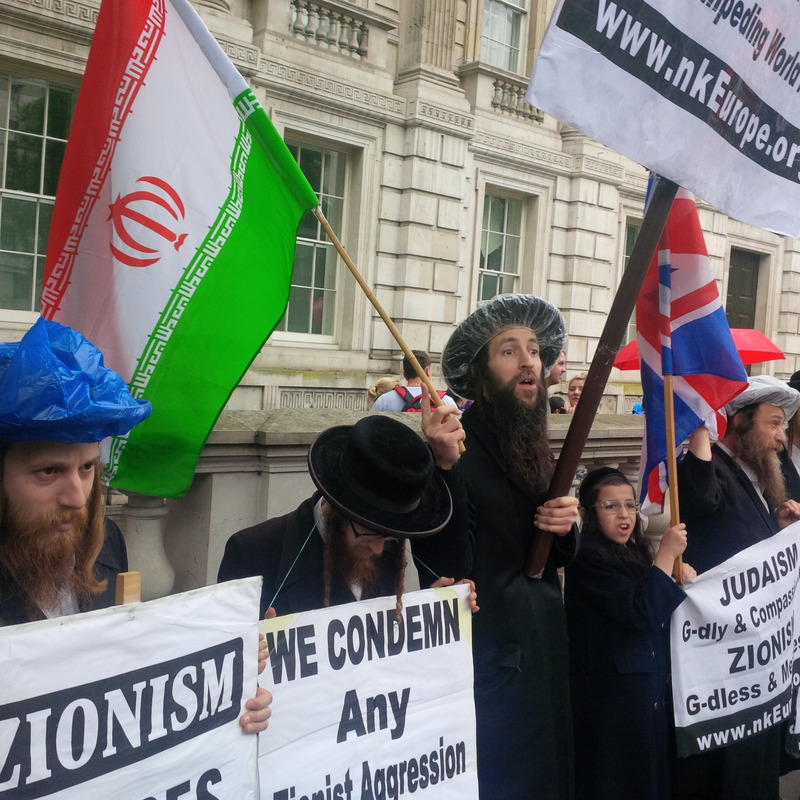 Neturei Karta hurl abuse at C4T’s anti-Iran protest. 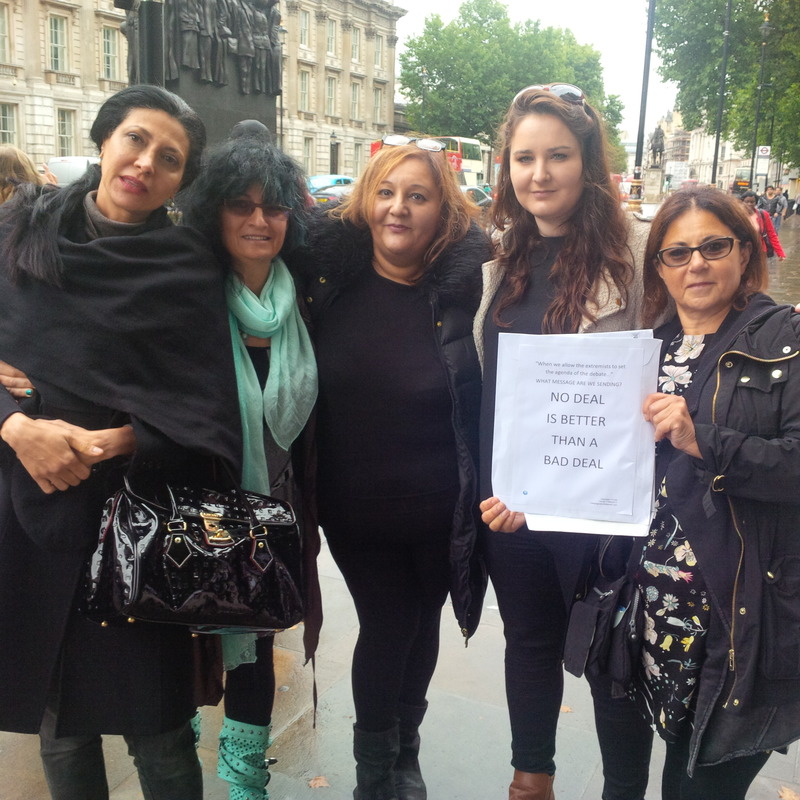 Flor, Michelle, Ambrosine, Rachel and Sharon about to deliver the letter to No. 10. 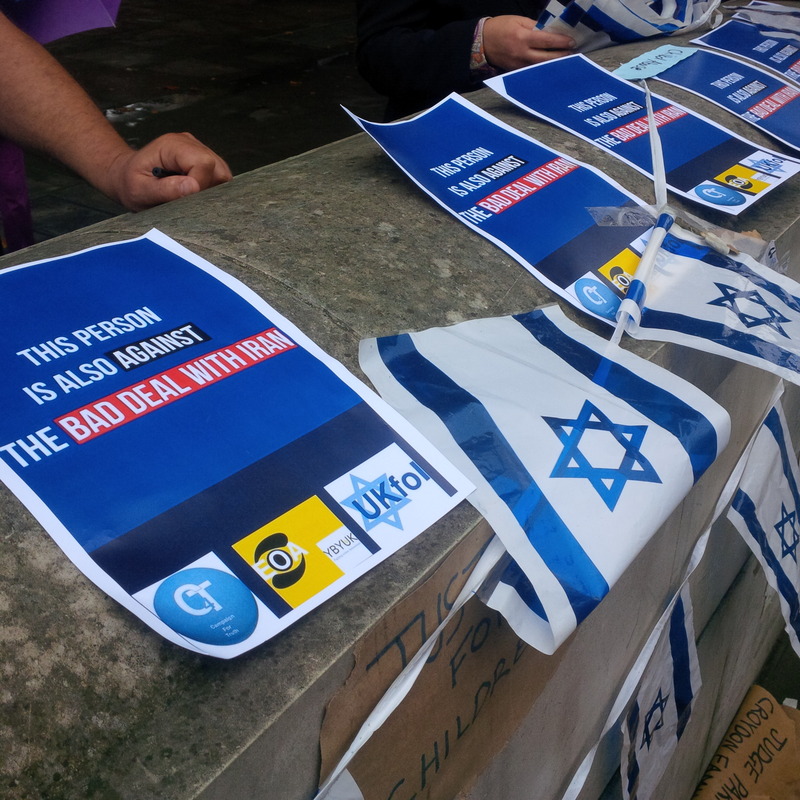 Campaign For Truth activists went to 10 Downing Street today to protest the nuclear deal recently signed by America, UK, France, Germany, Russia and China with the Iranian regime which basically grants Iran the bomb after 10 years have expired. But that’s only if the mullahs don’t cheat earlier. Letters of support, one of which was from Colonel Richard Kemp who commanded British forces in Afghanistan, were read out. He then described the Iranian regime as a “fascist, imperialist, totalitarian, murderous dictatorship”, criticised the release of funds that will “enable the Ayatollahs to expand their imperialist violence many times over” and said the Iranian mullahs are the “most duplicitous double-dealing and deceitful regime in history”. 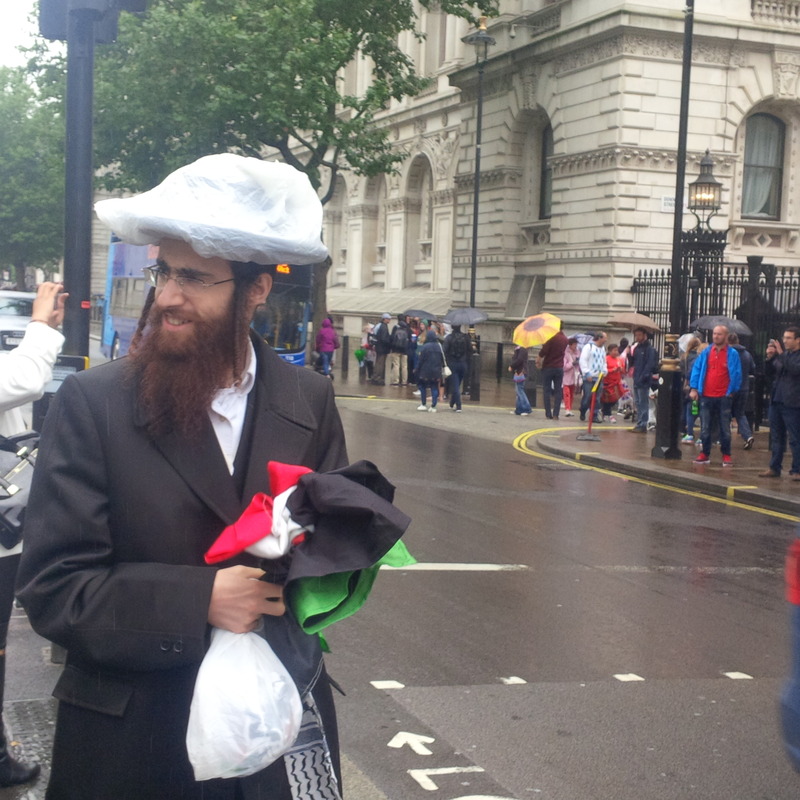 Then just as C4T representatives were about to deliver a letter to David Cameron the Neturei Karta extremists suddenly appeared brandishing an Iranian flag and a Palestinian one. 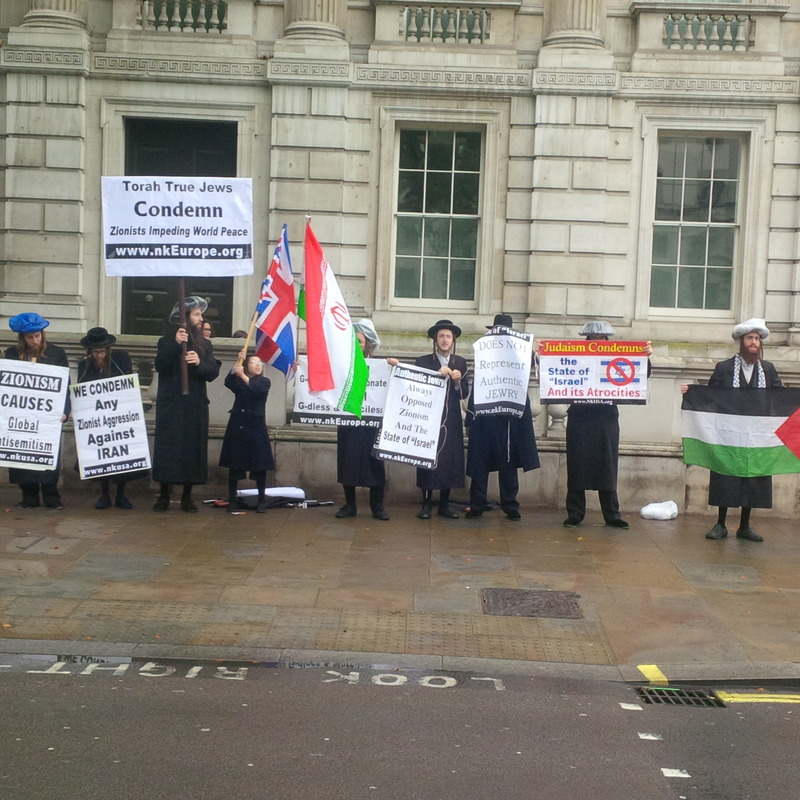 They spent 20 minutes yelling “Israelhell” and telling Zionists that they are not Jews. I asked them why they weren’t in synagogue for Tisha B’av but I was lectured that they didn’t need to be. Fair enough. 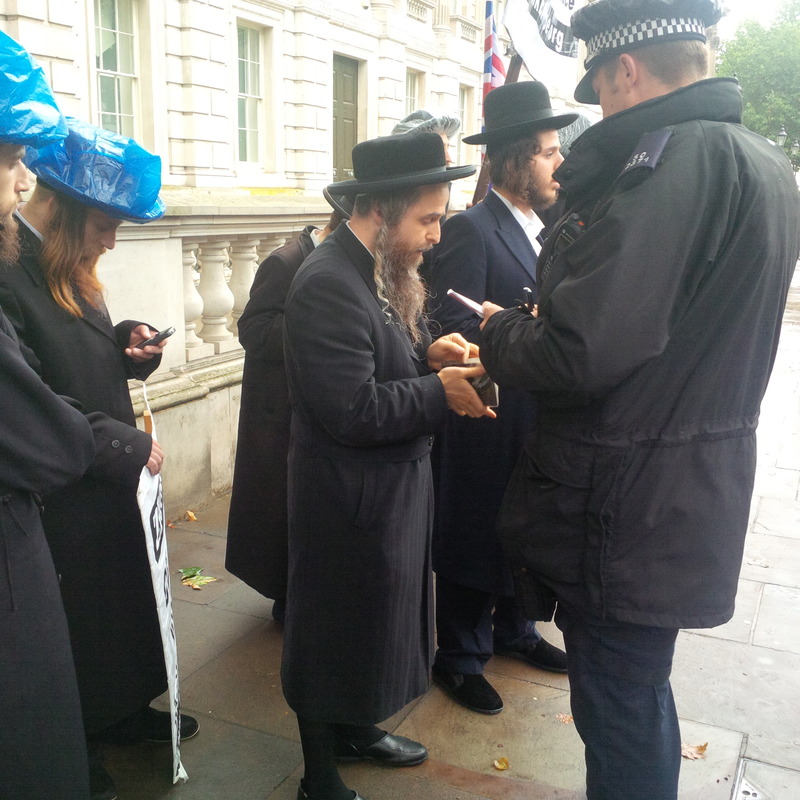 Eventually the police moved them on for protesting without advanced permission. 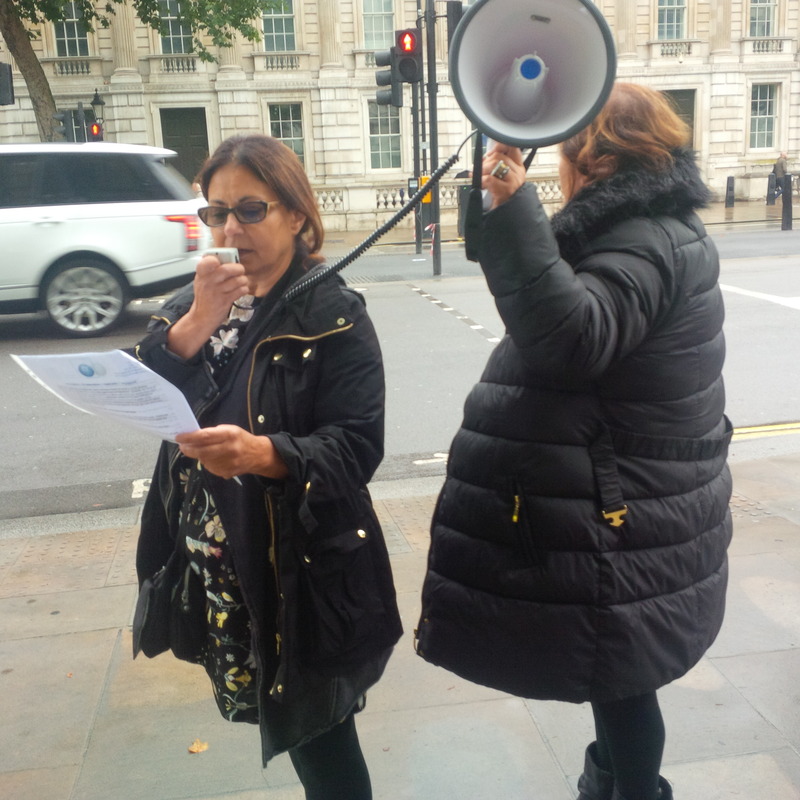 Eventually Flor, Michelle, Rachel, Ambrosine and Sharon delivered the letter to Number 10 which signed off urging David Cameron “to dissent from this deal, to be the lion amongst the sheep”. 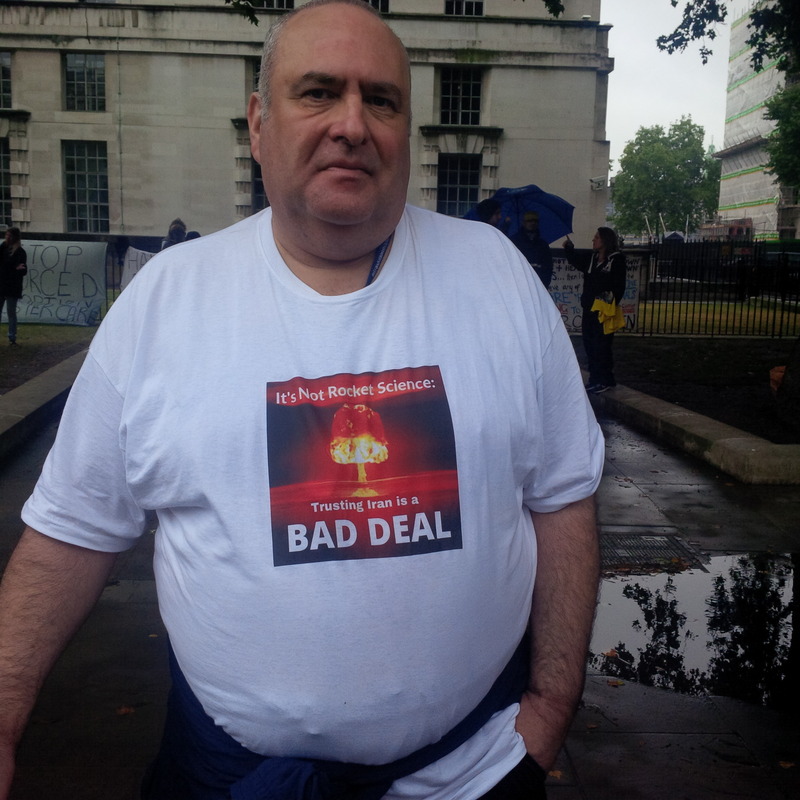 C4T’s Paul proudly wearing a T Shirt he bought in St Albans. An NK member looking with bemusement at Paul. Other protesters look with curiosity at C4T’s protest. 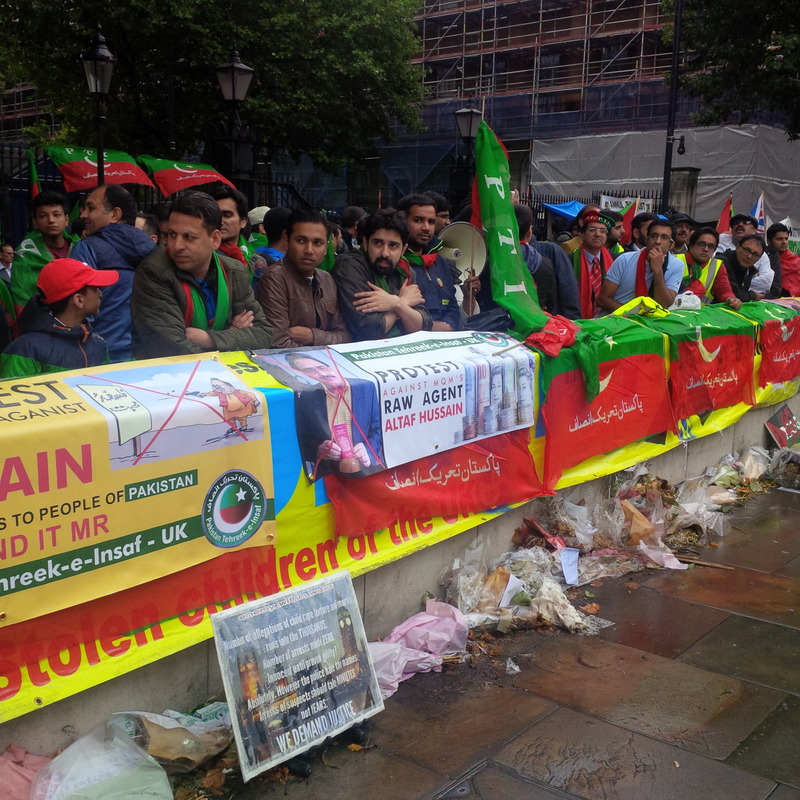 Waving their beloved Iranian flag. The mullahs would be proud! At least hold the Palestinian flag the right way up! Sharon reads out supportive letter from Colonel Kemp. 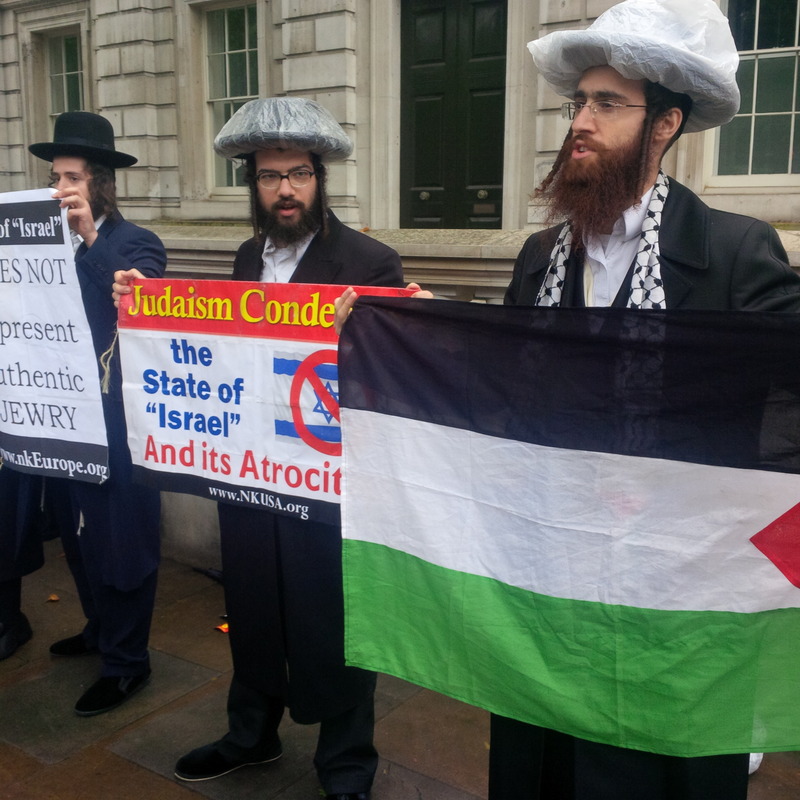 Neturei Karta finally being moved on for not following procedure.